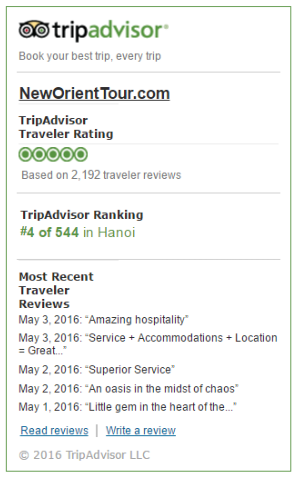 + On arrival at Hanoi, we will pick you up at Noi Bai International Airport and transfer you to the city centre. + In the afternoon, we will take a city tour, visiting many historical attractions such as: Temple of Literature, Hoan Kiem Complex and Hanoi Old Quarter. First of all we will visit Temple of Literature, which was built in the 11th century as Vietnam’s first university. 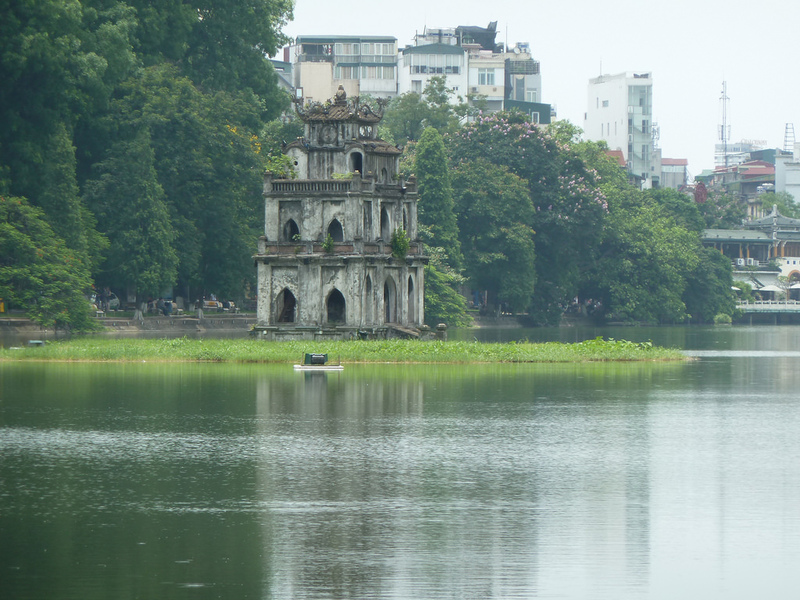 We continue passing Hoan Kiem Complex to see the peaceful green view of Hoan Kiem Lake, The Huc Bridge, Thap But (Pen Tower) and Ngoc Son temple. At the end of the tour, we will visit and shop in Hanoi Old Quarter. + In the evening: After dinner, you will enjoy the performance of water puppetry show at Thang Long Theatre, one of the famous Vietnamese traditional art forms. + Morning : Transfer to Halong Bay (165 km east from Hanoi), which was listed as the World Heritage Area of outstanding natural beauty. Meaning “Dragon descending to the sea” in Vietnamese, Halong Bay has more than 1,000 limestone islets rising from the sea and many of which contain beautiful grottoes. +Noon time, you will board the boutique wooden junk to visit Halong Bay. While cruising through the bay, seafood lunch is served on board. + Afternoon: After lunch time, we continue cruising to visit many caves; islands, floating fishing village and relax on the board. + Evening: Many options to choose such as: enjoy movie night, board games, squid fishing or relax at leisure . + 07h15 a.m: Wake up on board, cakes, fruits, tea and coffee will be served. Then we continue the cruise through the Bay. + 11h00 a.m: Back to Halong pier and then transfer to Hanoi – Noibai Airport to fly to Ho Chi Minh City. + Meet on arrival at Ho Chi Minh City / Tan Son Nhat International Airport and transfer to hotel. + Morning: We pick you up at the hotel and transfer you to Cu Chi Tunnels, which is 60 kms far from Ho Chi Minh City. Cu Chi is considered as a heroic district for its role in the anti – American war in Vietnam. It is legendary for its underground network of over 220 kms which were used by Viet Cong soldiers as hiding spots during combat, as well as serving as communication and supply routes, hospitals, food and weapon caches and living quarters for numerous North Vietnamese fighters during the anti – American war in Vietnam. + Have lunch at local restaurant. After that we will go to Thai Tuan Vietnamese silk shop, Saigon square (embroidery hand bag), stop at Hard rock café if you want to buy the nice T-shirt with cheap price and high quality. Come over other shops such as Hong Anh collection, Diamond Plaza, Miss Ao Dai….Then, we continue our trip to the bustling Ben Thanh Market where anything and everything is for sale. + Dinner & Overnight in HCM City. We will have breakfast at hotel then transfer you to the airport. Your trip ends here, see you again!